Arran is five years old and living with cerebral palsy. 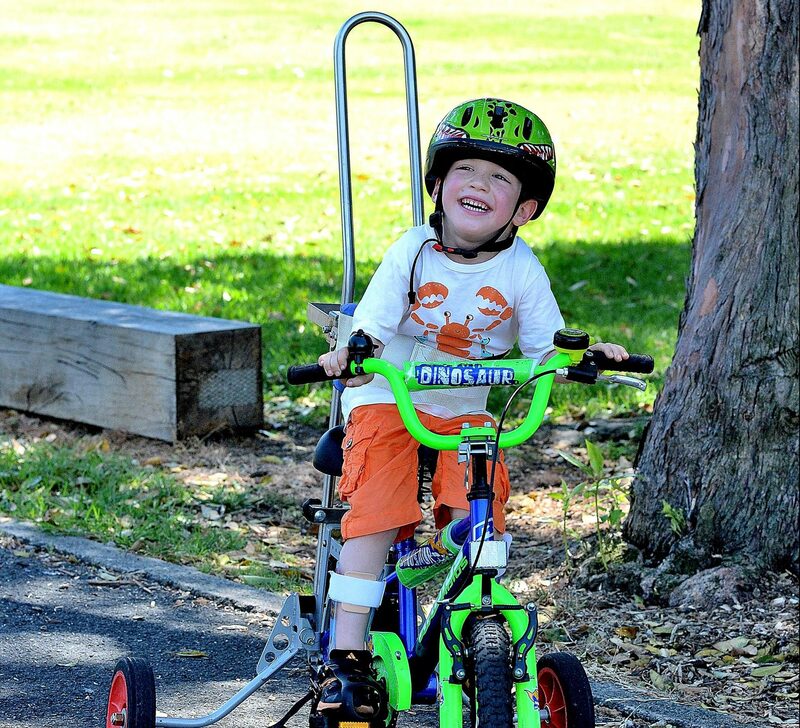 He attends regular therapy sessions, a special needs swimming class, and exercises but his physiotherapist suggested that riding a bike would strengthen his quads and help him learn to stand up. 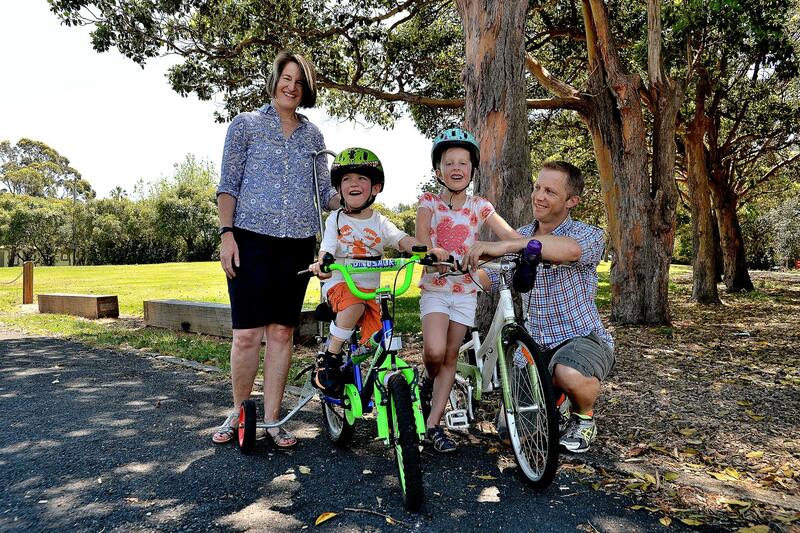 “We decided we needed to be a biking family,” says Karen, Arran’s mum. The family went to their local bike shop, but it only had trailers for Arran to be pulled along – he couldn’t ride by himself. 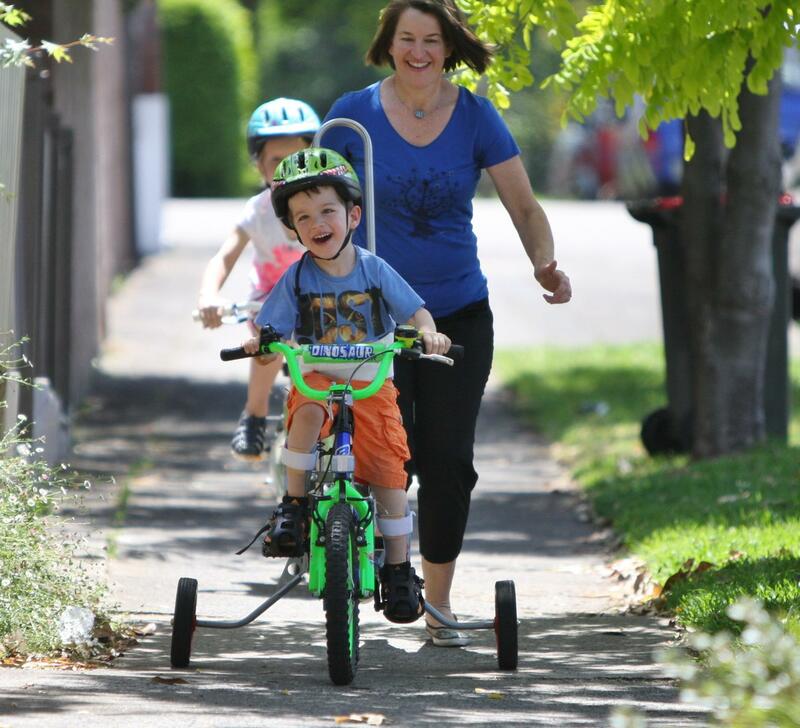 The bike shop referred the family to Freedom Wheels. There have been many benefits from cycling. “What it’s meant is that Arran can grip and lift a pair of walking sticks to walk, rather than the walking frame and can now hand me his plate from the table. He can even climb the stairs. Sister Roxy is thrilled to be riding with her brother. Arran is well known around the neighbourhood for his special bike.